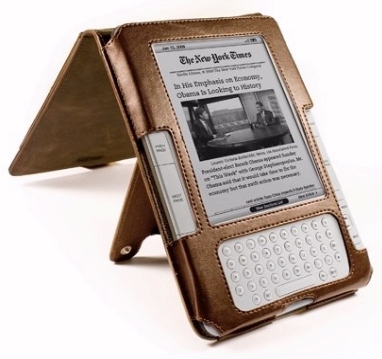 Can the Kindle Catch the iPad? There’s an old saying that journalists love a horse race. Current events are more interesting when there’s one side that’s winning and one side that’s losing. That’s why blogs like to focus on the “war” between the iPad and Amazon’s own Kindle Fire tablets. Unfortunately, neither company releases their sales figures, but periodically you’ll get some good estimates from the “market analysts” at professional research firms. And that’s what happened on Monday, when some surprising new numbers were released by the technology analysts at IDC. It’s a research firm that focuses specifically on consumer technology, and they’d made two interesting observations. In just three months — July, August, and September — they’re estimating that 27.8 million tablet computers were sold. And that means that nearly three tablets were sold this year for every two tablets that were sold in the same period in 2011. Even if you just compare tablet sales to the previous three months, total tablet sales have now still increased by 6.7%. But what’s even more interesting is that Apple’s share of the tablet market is getting smaller, IDC notes. According to their calculations, more customers are now choosing instead to buy devices with the “Android” operating system — like Amazon’s Kindle Fire! Of the 27.8 million tablets sold between July and September, 14 million of them were from Apple (all the various versions of the iPad). That barely gives Apple half of the new sales for tablet computers, with a share of 50.4% (versus 65.6% in the previous three months). 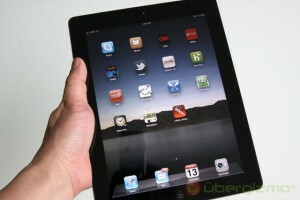 The next-biggest vendor was Samsung, who sold 18.4% of the tablet computers bought between July and September. But Amazon’s share of the market during that same period was 9% — which was nearly double what it had been in the previous three months! That may not sound like much, but Amazon waited until September, the last month in the quarter, before announcing their newest tablets. “Here’s why Amazon’s tablet share is going dramatically higher,” writes a blogger at ZDNet, noting that Amazon’s newest version of their Kindle Fire tablet can compete with the iPad on both price and features. He also notes that during September, Amazon was only selling their Kindle Fire HD tablets within the United States. But as Amazon expands their sales to the rest of the globe, their share of the market should increase. Of course, there’s also another story behind Apple’s figures, according to the analysis by IDC. “We believe a sizeable percentage of consumers interested in buying an Apple tablet sat out the third quarter, in anticipation of an announcement about the new iPad mini. Now that the new Mini, and a fourth-generation full-sized iPad, are both shipping we expect Apple to have a very good quarter.” But they note that the iPad Mini is still relatively expensive at $329, which opens up a market opportunity for Amazon and their Kindle Fire tablets.